As designers move upstream from traditional product and service design to engage with challenges characterised by complexity, uniqueness, value conflict, and ambiguity over objectives, they have increasingly integrated systems approaches into their practice. This synthesis of systems thinking with design thinking is forming a distinct new field of systemic design. This paper presents a framework for systemic design as a mindset, methodology, and set of methods that together enable teams to learn, innovate, and adapt to a complex and dynamic environment. 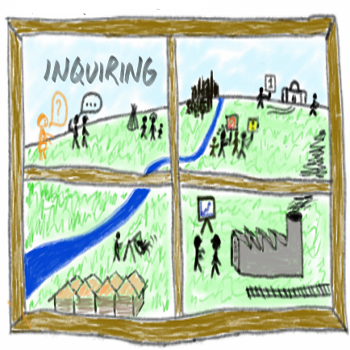 We suggest that a systemic design mindset is inquiring, open, integrative, collaborative, and centred. We propose a systemic design methodology composed of six main activities: framing, formulating, generating, reflecting, inquiring, and facilitating. We view systemic design methods as a flexible and open-ended set of procedures for facilitating group collaboration that are both systemic and designerly. Lead a cross-ministry systemic design team within the Government of Alberta. PhD thesis "A multidisciplinary approach to complex systems design" was completed at the University of Adelaide in 2007.